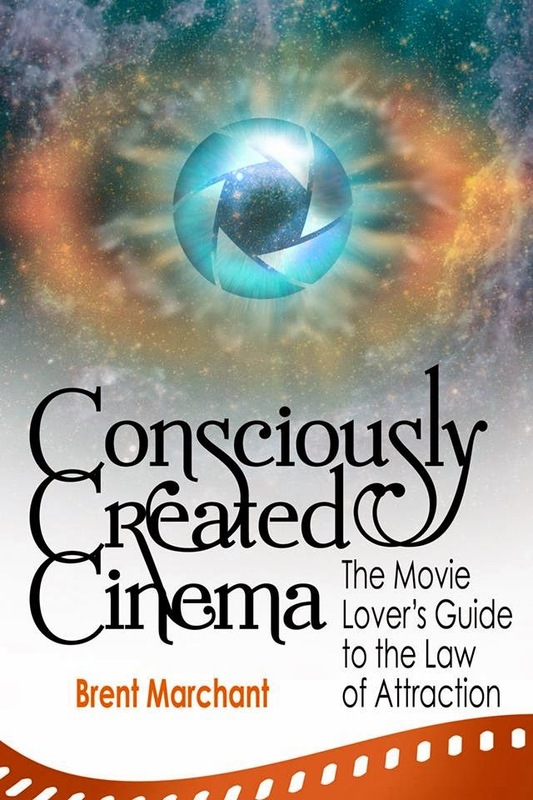 Pinterest.com users can now follow "Consciously Created Cinema" on a new board on that site! 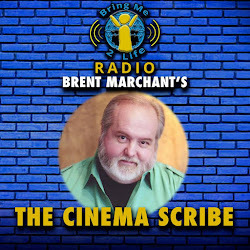 And, while you're at it, become a follower of the board Conscious Film Reviews by Brent Marchant, a showcase for my posts to VividLife.me. “Hannah Arendt” (2012 production, 2013 release). Cast: Barbara Sukowa, Janet McTeer, Axel Milberg, Julia Jentsch, Michael Degen, Nicholas Woodeson, Megan Gay, Tom Leick, Ulrich Noethen, Victoria Trauttmansdorff, Klaus Pohl, Friederike Becht, Fridolin Meinl. Director: Margarethe von Trotta. Screenplay: Pam Katz and Margarethe von Trotta. Web site. Trailer. Critical thinking is one of those undertakings many of us are encouraged to pursue from an early age. We’re frequently urged to do so in an educational context, but its applicability extends to virtually every aspect of daily life. Of course, to make best use of this skill, we must employ it judiciously, taking into account related considerations that impact its effectiveness, for failing to do so can have serious, far-reaching consequences. Those are some of the themes capably explored in the historical biography, “Hannah Arendt,” now available on DVD and Blu-ray disk. “Hannah Arendt” primarily focuses on a four-year period (1960-1964) in the life of the title character (1906-1975), one of the 20th Century’s leading political scientists and philosophers. Having grown up in a Jewish household in Germany, the studious Arendt (Barbara Sukowa) witnessed the rise of totalitarianism under the Nazis. She wisely fled to France in the days preceding World War II, but her new life in Paris did not guarantee sanctuary. When France was overrun by the invading Germans, she was sent to a French detention facility and narrowly escaped being sent to a concentration camp by emigrating to the U.S. Upon her arrival in New York, she once again had the freedom to resume her intellectual pursuits, gradually becoming a respected university lecturer and writer, eventually penning The Origins of Totalitarianism, the seminal treatise on the subject. Arendt’s works and outlooks were characterized by an outspoken yet always-thoughtful, fervently passionate quality that not everyone agreed with, but she was nevertheless recognized for her unbridled honesty, sincerity and integrity. However, that all changed in 1960, when Arendt’s life took a dramatic left turn, one that cost her considerable respect and credibility – even among some of her staunchest supporters – which is where the film picks up the story. On a desolate road in an industrial area north of Buenos Aires in May 1960, agents of the Mossad, Israel’s intelligence agency, led a successful nighttime raid in which they captured escaped Nazi Adolf Eichmann. As one of the chief architects of the Third Reich’s “Final Solution” for exterminating Europe’s Jewish population, Eichmann was subsequently deported to Israel to stand trial for crimes against humanity, a prosecution that quickly garnered worldwide attention. Arendt, who was captivated by Eichmann’s story, volunteered to cover the trial for New Yorker magazine, an offer that editor William Shawn (Nicholas Woodeson) enthusiastically embraced. However, not everyone at this highly respected publication was on board with the idea. For example, Francis Wells (Megan Gay), one of Shawn’s colleagues, expressed reservations about the would-be correspondent; given Arendt’s ivory tower background, Wells wondered whether she would be capable of preparing a piece of reportage that would fulfill the needs of the magazine and its readers – or of even meeting a deadline. But Shawn was so taken with the proposal that he agreed to Arendt’s terms, and, before long, she was on her way to Israel. It would prove to be the start of a firestorm that brought considerable scrutiny – and criticism – upon both Arendt and the New Yorker. In covering the trial, Arendt applied her signature introspective approach to the task, not unlike what she did when ensconced in one of her scholarly undertakings. She looked on Eichmann and the trial from a philosophical standpoint, coming to a number of conclusions that ran counter to prevailing public sentiment. She held fast to her views, though, frequently engaging in arguments with others, including longtime friends and colleagues Kurt Blumenfeld (Michael Degen) and Hans Jonas (Ulrich Noethen). And that was before she ever put pen to paper. What happened once she did that would change her life and her world forever. And what, specifically, prompted the public outcry? In covering the trial (depicted here through archival footage), Arendt was struck by Eichmann’s indifferent attitude toward his actions. Instead of coming across like the calculating evil genius that most people perceived him to be, Eichmann, in Arendt’s view, was more of an unthinking, perfunctory bureaucrat, one who repeatedly justified his behavior by insisting “I was only following orders.” In light of that, Arendt concluded that Eichmann embodied a concept she termed “the banality of evil,” a state of being that she believed arises when someone fails to consider the nature of nefarious actions (and their attendant implications) before engaging in them. Needless to say, such statements did not earn Arendt or the New Yorker many fans. By postulating such an esoteric (and seemingly nonjudgmental) assessment, she was seen (albeit erroneously) as sympathetic to, if not an outright defender of, Eichmann, a position she vehemently denied. She insisted that Eichmann ultimately deserved whatever punishment he received (he was eventually convicted and hanged for his crimes), but, given the heat of the emotions swirling about this event, her explanations were often drowned out by the shrill chorus of public opinion. In defending herself, Arendt vociferously contended that “trying to understand is not the same as forgiveness,” but her arguments frequently fell on deaf ears. If the foregoing weren’t bad enough, Arendt was also perceived as a turncoat to her own people. As a Jew, Arendt was criticized for her allegedly “soft” stance on Eichmann, with many in the Jewish community claiming that “she should know better.” These circumstances became further inflamed when Arendt alleged that, based on revelations at the trial, some Jewish elders may have even played a part in furthering the Nazis’ aims, a charge that resulted in extreme animosity – and even death threats – against her. Arendt defended herself by noting that she said some Jews, not Europe’s entire Jewish citizenry, may have participated in such actions, but, again, the specifics of her assertions were frequently overshadowed by public outrage. Considering the backlash that was directed against her, some might wonder (and quite legitimately at that) how Arendt failed to foresee these reactions. Was such an oversight due to cold insensitivity? Unchecked naïveté? Intellectualism run amok? Or was it something else? As noted earlier, Arendt was a thinker, one who genuinely seeks to understand the motives underlying our actions, be they those of a friend or of a war criminal. This discipline relies heavily on honing one’s intellect, a practice Arendt learned in her youth while she was a student (Friederike Becht) under Professor Martin Heidigger (Klaus Pohl), an association depicted in several flashbacks. Arendt enthusiastically embraced the teachings of her mentor and subsequently applied this outlook in her writings and in her assessments of daily living and the human condition. Adept conscious creation practitioners will recognize how Arendt’s approach to the act of thinking parallels the act of assessing the beliefs we employ in creating the reality we experience. Those who successfully engage in either kind of introspection are able to evaluate the particulars of why things manifest as they do, a process that draws attention not only to the creations in question, but also to a number of significant related issues, such as the impact of implications, the role of integrity, the importance of responsibility and the consideration of alternatives to contemplated actions. By contrast, those who fail at this ultimately wind up engaging in un-conscious creation or creation by default, where we employ materialization beliefs or partake in actions that ignore consequences and abrogate accountability (endeavors not unlike what Arendt contended Eichmann engaged in). In scrutinizing one’s circumstances, Arendt also asserted that the assessment process needs to be conducted on a case-by-case basis. People and situations, she contended, must be examined individually, not on the grounds of broad, sweeping generalizations, advice that conscious creators would be wise to heed (and a practice Arendt was careful to follow in her own evaluations). For instance, as noted above, in making her accusations against community elders, Arendt limited her allegations to certain individuals, not the population at large. However, by contrast, many of Arendt’s critics judged her views with broad brush strokes, ignoring the specifics of her contentions and thereby significantly raising the hysteria level. Some even went so far as to suggest that, because of her close affiliation with Heidigger (an association that went beyond the traditional student-teacher relationship), she had inherent sympathetic leanings toward the Nazis given his early support of the fascists, a charge that made her cringe. Loyal supporters, like novelist Mary McCarthy (Janet McTeer), one of Arendt’s closest friends, were quick to come to her defense, pointing out the dangers of such overblown generalizations, but their efforts, like Arendt’s own arguments, weren’t enough to be heard over the din of criticism. Nevertheless, while Arendt’s efforts in championing the intellect are indeed laudable, in doing so she may have simultaneously minimized the importance of feelings and emotions, qualities that many of her detractors were obviously much more attuned to. By downplaying their significance, she unwittingly succeeded in agitating her critics, often failing to recognize the source of their anger. And, considering the highly charged nature of these circumstances, her attitude was seen as dismissive, something she frequently failed to acknowledge, let alone comprehend. That’s rather ironic, too, given the passion she routinely exhibited in making her own arguments. As conscious creators know, balancing our intellectual and emotional sides is crucial to make best use of the manifestation process since both play vital roles in the formation of our beliefs. We would be wise to follow Arendt’s example by what she did – and what she didn’t do – in this regard, for it provides us with a model we can follow for our own lives. But, regardless of what one might think of Arendt’s conclusions, she nevertheless got people thinking, not just about the particulars of her situation, but also in a larger sense – as a way of looking at life, how we conduct ourselves and, ultimately, in how we manifest our respective realities. “Hannah Arendt” is an excellent film about a significant, if not especially well-known, 20th Century figure. Its weighty subject matter doesn’t lend itself to casual viewing, so make sure you’re in the right mood before taking on this picture. Director Margarethe von Trotta has done a superb job of making a compelling movie about an intangible subject – thinking – that easily might have been difficult to depict effectively if left in less-skilled hands. Credit the film’s terrific writing, which accomplishes its goals without becoming preachy, abstract or dull, and Sukowa’s masterful performance, which is easily one of the most underrated screen portrayals of recent years. This largely overlooked gem played in a very limited run when initially released, but, thankfully, it’s now available on disk, where I’m hoping it will find a much-deserved audience. Our capacity to think is one of our most prized capabilities. It can lead us to sublime realizations and profound insights, both in our loftiest aspirations and our everyday dealings. But knowing how to make use of it is crucial if we hope to achieve the success we seek. Putting the intellect on trial may be one of the most effective ways to find out whether we’re on track with our deployment of it or whether we need to make much-needed adjustments. And it’s an undertaking we’d best pursue before undesirable consequences befall us. Just ask Hannah. “The Lunchbox” (“Dabba”) (2013 production, 2014 release). Cast: Irrfan Khan, Nimrat Kaur, Nawazuddin Siddiqui, Lillete Dubey, Nakul Vaid, Bharati Achrekar (voice), Yashvi Puneet Nagar, Denzil Smith, Shruti Bapna, Sadashiv Kondaji Pokarkar, Baaburao Sankpal. Director: Ritesh Batra, Screenplay: Ritesh Batra. Web site. Trailer. Just when we think we’ve attained the satisfaction we want out of life, we sometimes come to realize that what we’ve manifested is not what we really desire. But what do we do then? Do we chance making a change to something different? But, if that doesn’t live up to our expectations, then what? Would it be safer to hold on to what we know, simply because it’s comfortable and familiar, even if it’s unsatisfying? Or would that kind of settling leave us even more unhappy in the long run? Those are just some of the questions raised in the delightful new comedy-drama from India, “The Lunchbox” (“Dabba”). Lunchtime in Mumbai wouldn’t happen if it weren’t for the city’s dabbawallahs, delivery people who transport freshly prepared meals in cylindrical, compartmentalized lunchboxes (dabbas) from homes or restaurants to hungry office workers and return the empty containers to their sources later the same day. And, considering the huge volume of meals shipped by train and bicycle every workday, the dabbawallahs have a remarkable track record for accuracy and timeliness, something in which they take tremendous pride. But, every so often, something goes awry – which ultimately may not be an entirely bad thing, either. Such is what happens to Ila (Nimrat Kaur), a lonely young mother and housewife who has trouble getting the attention of her preoccupied husband, Rajeev (Nakul Vaid). She tries everything, too, routinely consulting her upstairs neighbor, Auntie Deshpande (Bharati Achrekar), for advice. Ila is especially hopeful that following the time-honored adage “the way to a man’s heart is through his stomach” will prove successful, and, to that end, she tries out a variety of delectable recipes when preparing Rajeev’s lunch for delivery each day. But, when she doesn’t get the response she’s looking for, she’s seriously disappointed – that is, until Ila discovers that her dabbawallah (Sadashiv Kondaji Pokarkar) has been delivering Rajeev’s lunchbox to the wrong recipient. And who has been getting the erroneous lunch deliveries? That would be Saajan Fernandes (Irrfan Khan), a lonely office worker who’s nearing retirement. Having lost his wife some time ago, there’s not much that gives him joy. He feels reconciled to a bleak future, a prospect that has made him a man of few words (and most of which consist of curmudgeonly utterances at that). But that begins to change one day when he receives a delicious lunch that he wasn’t expecting. The restaurant from which he typically orders his food generally doesn’t make dishes that tasty, so, when he learns that the meals aren’t coming from there, he feels compelled to thank the mystery chef. He decides to place a note of gratitude in the empty lunchbox when it’s returned, a development that both startles – and pleases – its unsuspecting recipient. Ila is touched by Saajan’s note, so much so that she decides to write back, thus initiating what becomes an extended exchange of messages. The unlikely pen pals engage in an unusual but intimate correspondence, sharing heartfelt details of their lives, loves and losses. They develop a profound bond, one with the potential for more than just friendly dialogue. It’s a relationship with the promise of new beginnings – as long as Ila and Saajan will allow it. Anyone who has ever experienced the blessings that come with a cloud revealing its silver lining can appreciate the hidden benefits that arise from this story’s misdirected lunchbox deliveries. While some might view situations like the initial delivery “error” with frustration or anger, those who have the patience and open-mindedness to see what comes of them are often rewarded beyond expectations. Such “mistakes” frequently lead to the revelation of fortuitous synchronicities, events or connections that make beneficial, perhaps even miraculous developments possible. So why do these “wrong” trains show up in our lives? 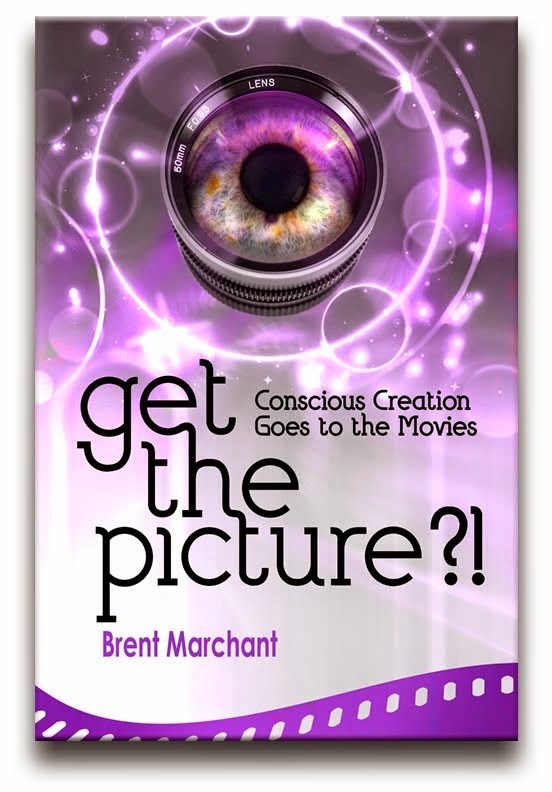 As conscious creation practitioners well know, the reality we experience stems from the beliefs we hold. And sometimes we hold onto those beliefs a little too long, with some even hanging on well past the point of their usefulness. On some level, we may realize they no longer serve us, but we nevertheless clutch them tightly simply because they’re familiar and known, even if displeasing, an option that many of us prefer to the uncertainty of the unknown and untried. So, to move beyond these circumstances, sometimes we need to concoct conditions that seemingly force our hand, compelling us to take action to get out of situations that no longer work to our benefit. These unexpected developments usually take us by surprise, but they nearly always get our attention, prompting us to scrutinize our prevailing reality. Such assessments and realizations often hit us like a ton of bricks, causing us to acknowledge the insufficiency of what we’ve created and subsequently launching us into embracing new beliefs for manifesting a more fulfilling existence. Again, Ila and Sajaan both know that their lives are no longer working, but they’re reluctant to take action for fear of what the consequences might be. However, they also realize that, without doing something, they’re saddling themselves with lives of perpetual discontent. So, on some level, they decide to rewrite the beliefs responsible for materializing their respective realities, and they make it seem like their new circumstances are taking them totally by surprise, a move assured to get their attention (and, one hopes, to encourage them to take action to change things). Ideally, it would be to our benefit if we could initiate such changes consciously, with clear, open minds and full awareness of the beliefs driving our manifestations. However, until we reach a point in our personal growth and development where we’re comfortable with doing that, this “backhanded” approach may be the best option available to us. But, as long as it helps get us to where we inherently know we ought to be, then it probably should suffice, at least for now. These kinds of scenarios also draw attention to several principles that are integral to the conscious creation process, namely, the importance of the power of choice, change and connection. For instance, given the evolution of Ila’s and Sajaan’s outlooks, it becomes apparent that happiness and contentment clearly are choices, options that they must each choose to implement in their lives through the particular beliefs they hold. They each have examples to draw from in this regard, too. Ila, for instance, witnesses the sadness that can permeate one’s life by looking at the experiences of her mother (Lillete Dubey) and of Auntie, both of whom have allowed themselves to become chained to marriages to ill husbands and lives of little fulfillment. In a similar vein, Sajaan has experienced comparable circumstances of his own, so he’s well aware of the sadness that can come to characterize one’s life. But, fortunately, he also has an inspiring example to draw from, one that runs counter to those conditions – that of his happy-go-lucky co-worker Mr. Shaikh and his fiancée Mehrunnisa (Shruti Bapna). The young couple is just starting out, and they face their share of challenges, but they also approach their lives with a joyous attitude, purposely choosing to be happy. So Sajaan comes to realize that, if they can do that, then so can he, an outlook that, by extension, rubs off on Ila, too. The element of change runs throughout the film’s narrative as well. In fact, in many ways, it’s at the core of Ila’s and Sajaan’s story. Of course, as alluded to earlier, change won’t happen unless the protagonists are willing to allow it in their lives. And, given their circumstances, it would seem to be in their best interests for them to do so. After all, with an infinite range of probabilities always available to them, the change to something new (and, one would hope, preferable) is just a belief away. This is especially crucial for Ila, particularly when she learns the real reason why Rajeev is so distracted. Connection is apparent in many ways also, especially in light of the “unplanned” synchronicities that unfold. No matter how seemingly unrelated the elements of one’s reality might appear, they’re nevertheless innately connected. All it takes is the right mix of beliefs to activate them and bring them into being. Where Ila and Sajaan are concerned, they should be grateful for the “mistakes” made by their dabbawallah (and give themselves a big pat on the back for coming up with suitable beliefs that helped make such “errors” possible). “The Lunchbox” is a charming, touching, sometimes-bittersweet crowd-pleaser that’s infused with a balanced mix of both joy and melancholy. The picture is smartly written, beautifully filmed and superbly acted. Khan and Kaur are particularly noteworthy for their nuanced performances, often getting as much out of a facial expression as they do from any of the lines they deliver. Admittedly, the film’s subplots sometimes detract a bit from the main storyline, but the themes they explore also help to reinforce those of the main narrative. Writer-director Ritesh Batra has come up with a fine offering in his debut feature, one of the spring movie season’s most pleasant surprises and one that’s well worth a look. The search for happiness often takes some unexpected turns, but, when the unanticipated joy that comes from them becomes apparent, the sense of elation is frequently heightened. What a pleasant surprise that can be! So the next time you find yourself on one of those unfamiliar trains, ride it out to its destination. It may just be the very station you’re looking for. “Omar” (2013). Cast: Adam Bakri, Eyad Hoorani, Samer Bisharat, Leem Lubany, Waleed Zuaiter, Rohl Ayadi, Ramzi Maqdisi. Director: Hany Abu-Assad. Screenplay: Hany Abu-Assad. Web site. Trailer. The life of a freedom fighter is fraught with many challenges – perhaps more than anyone knows. That’s certainly the case for Omar (Adam Bakri), a Palestinian brigade member who’s clandestinely engaged in an ongoing battle against Israeli security forces. Omar fervently pursues this cause with two collaborators, his childhood friends Tarek (Eyad Hoorani) and Amjad (Samer Bisharat). But, despite the obstacles and danger involved, the three would-be liberators believe in the justness of their quest, given the oppressive everyday living conditions that have been imposed on them and their people. For example, the West Bank city where they live (a fictitious but ostensibly typical Palestinian community) is divided by a high separation wall that was built to intentionally keep residents from interacting with one another. Thus, those who simply want to visit friends and family members must often go to such great (and risky) lengths as scaling that imposing wall – a structure protected by snipers – just to see them. In fact, that’s what Omar has to do whenever he meets with his colleagues. It’s no wonder the freedom fighters are so anxious to change things. But Omar’s challenges don’t stop there. He has a strong romantic attraction to Tarek’s beautiful young sister, Nadia (Leem Lubany), who freely returns the affection he lovingly showers upon her. Yet, despite Omar’s heartfelt feelings for Nadia, this “distraction” sometimes diverts his attention from his cause. What’s more, to complicate matters, Omar quietly competes with Amjad in an effort to win Nadia’s hand. Even though Omar seems to have the edge over Amjad, this rivalry with his comrade nevertheless adds fuel to the tension of their circumstances. These conditions thus force Omar to address his priorities: Which is more important, the love of his cause or the love of his life? That question takes on further importance when Omar is captured by security forces in the aftermath of an ambush on an Israeli checkpoint that he carries out with Tarek and Amjad. He’s imprisoned and subsequently trapped into making a backhanded confession by Undercover Agent Rami (Waleed Zuaiter). In light of this “admission,” Rami informs Omar that he’ll never get out of jail – and never see Nadia again – unless he’s willing to become a double agent for the security forces. Omar considers the offer and eventually agrees to Rami’s terms. He’s soon released from prison and returns home. But what exactly are Omar’s motivations in taking the deal? And, in doing so, how sincere is he being with Rami, his brigade peers and even Nadia? Of course, as Omar quickly finds out, he must also evaluate how genuine everyone else is being with him, a realization that forces him to reassess his priorities – and his relationships – once again. With suspicions and potential deceptions running rampant, it quickly becomes apparent that no one really knows who to trust, most of all Omar. 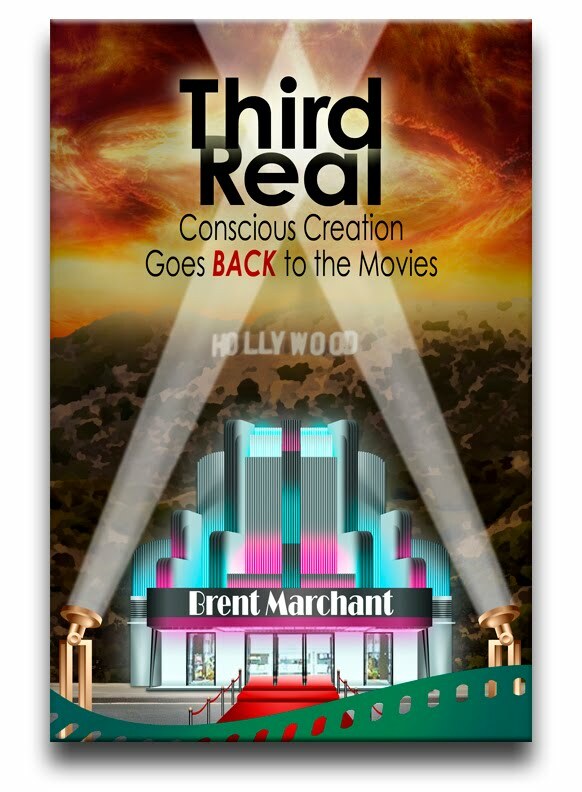 As conscious creation practitioners well know, contradiction (along with fear and doubt) is one of the primary inhibitors of effective manifestation. It’s difficult for our divine collaborator to know how to respond when we send out mixed signals in our beliefs, the driving force behind the materialization process. When we hold onto such conflicting intents, the results we realize often take on “distorted” qualities as our celestial manifestation partner does its level best to precisely interpret what it is we’re trying to achieve. These kinds of confused outcomes can arise in several ways. For instance, when we try to reconcile conflicting priorities, as Omar does with his political dealings and his love life, it can be unclear which one should take precedence. Attempting to multitask one’s manifestation efforts can be tricky business, especially when each sought-after goal seems to require equal degrees of attention, potentially leaving our consciousness spread a little too thin. Similarly, when someone attempts to pursue outcomes where opposing sides of the same issue are involved, as Omar does in his role as a double agent, the materialization waters can easily become muddied; which result is truly desired? Indeed, the act of intentionally and surreptitiously engaging in deception can be like walking the razor’s edge, a highly precarious act if ever there were one. And, to make matters worse, if we’re fundamentally unaware of these kinds of conflicts or their underlying contradictory beliefs, the results can seem that much more puzzling. We may think we know what we want, but do we? And, as a consequence, should it really come as any surprise to us if the outcomes don’t match our expectations? So how do we get past such potentially confusing circumstances? First and foremost, we need to get a better handle on our beliefs – all of them – especially if the mix of intentions involves contradictory elements. And one of the best ways we can conduct such assessments is to work on sharpening our intuitive skills, for they will help to clarify matters for us. Of course, to do this, we must also learn to get past any bias we might have about the “illogical” or “irrational” nature of the intuition. The impressions this faculty provides us are designed to help us, to reveal what we really need to know about the people and circumstances that cross our paths, no matter how outlandish or improbable they might seem. Purposely ignoring the input of this highly personal, highly informative resource is something we do at our peril. One of the many benefits of heeding our intuition is that it helps to open our eyes to the circumstances we’re materializing. We may come to realize, for example, that the beliefs we’re employing to create the reality we’re experiencing aren’t really serving us, an awareness that, one would hope, might prompt us into questioning why we’re doing so in the first place. In a political conflict like the one portrayed in the film, for example, if each side were to truly see what they were creating, they might each discover the inherent insanity of their manifestations. They might each see that the intrinsic mistrust they have of one another isn’t serving them, that it only leads to the creation of even more mistrust, perpetuating a seemingly endless cycle of repeating outcomes that won’t fundamentally change until the beliefs producing these results are replaced. In a world gone mad, such enlightened new realizations may prove to be planetary life-savers. And, in Omar’s case in particular, they might help him to see which of his priorities rightfully merits the most attention. “Omar” is an excellent film that’s part thriller, part political saga and part love story, with psychological and metaphysical considerations that are never far removed from any of the central narrative’s other aspects. The picture is smartly written, masterfully edited and well acted by an ensemble of young performers, many of whom are making their big screen debuts. Sensitive viewers should note, however, that the movie can be rather graphic at times, but the images are always in context and, thankfully, never gratuitous. 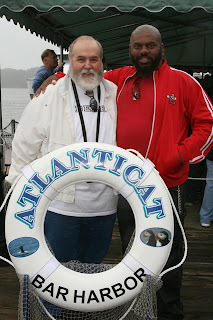 The filmmakers were rewarded for their efforts, too. The picture earned Palestine an Oscar nomination as best foreign language film, and the Cannes Film Festival named the movie as the winner of the Un Certain Regard Special Jury Prize. The rigors of successful manifestation can be taxing enough in themselves, but, when the process is hampered by too many considerations being heaped upon it, we’re setting ourselves up for disaster unless we take focused, drastic measures to combat these circumstances. “Omar” drives home this point with stunning power and remarkable clarity. One only hopes that the protagonist, like all of us, has the wisdom to see his way through to keep from losing everything. But, then, for someone who operates under the kinds of conditions he does on a daily basis, there may be nothing to lose to win what is so painfully sought. 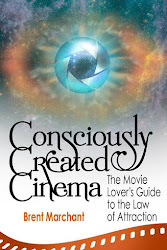 Did you enjoy/are you enjoying my new book, Consciously Created Cinema? If so, please share your thoughts! Let others know what you think with social media posts (like Facebook, Google+, LinkedIn, GoodReads and LibraryThing) or reviews on the bookseller sites (Amazon, Barnes & Noble, Kobo) where you acquired your copy. I'm sure they'd love to hear what you have to say. I just finished reading a terrific new book, Tipping Sacred Cows, by my colleague and fellow author Betsy Chasse, one of the driving forces behind the movie "What the Bleep Do We Know?!" Betsy's incisive wit and wisdom takes on a lot of widely accepted metaphysical and new age principles, affirming what works, poking holes in the ideas where necessary, and offering practical, reasoned reinterpretations when called for. Drawing from her own experiences, the author illustrates her insights with razor sharp observations and biting humor, making for a very entertaining read, especially for anyone who's going through a period of transition and reassessment in his or her life. And don't forget to check out the cocktail recipes at the back of the book -- their presence will become apparent when you read what Betsy has to say! Meet Trevor. Trevor Laster, that is. 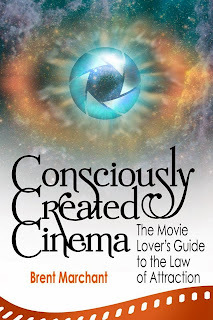 He's the wonderful guy (and partner) to whom my new book, Consciously Created Cinema, is dedicated. Here's a pic of the two of us from when we went whale watching in Maine in 2011, a trip that's referenced in my review of "Samsara" in Chapter 8 of the book. Check it out to find out more! With this year’s Academy Awards ceremony behind us, it’s time to take a look at how I did on my predictions for the winners in this annual competition, as first outlined in my previous blog, Who Will Capture This Year’s Oscars. And the result? A perfect score! Out of the six major categories, I got them all! This was the only major category that had any significant suspense associated with it, though “12 Years a Slave” was clearly one of the two frontrunners (the other being “American Hustle,” which, regrettably, was completely shut out on its 10 nominations). But, even though the film’s win wasn’t a surprise, it was not, in my opinion, the picture most worthy of top honors. My choice would have been “American Hustle.” I also would have been content with wins by “Nebraska,” “Philomena” or “The Wolf of Wall Street,” though they were all long shots at best. This was a slam dunk. McConaughey swept the best actor category in every major competition leading up to the Oscars, so there was no reason to believe that the result was going to be any different this time. Thankfully, the strongest performance came up as the winner in this category; McConaughey was very deserving of every accolade bestowed upon him, though nearly all of his competitors would have made worthy winners as well. This was another slam dunk. Blanchett swept the best actress category in every major competition leading up to the Oscars, so, again, there was no reason to believe that the result was going to be any different this time. Like McConaughey, Blanchett was very deserving of every accolade bestowed upon her, though nearly all of her competitors also would have made worthy winners. Once again, there was no suspense in this category; Leto won every major award leading up the Oscars, so his win came as no surprise. He was the class of his field of contenders, and his win was well earned. This was the only acting category in which there wasn’t a lock on the award, though Nyong’o was the favorite in a field packed with powerful performances. Despite Nyong’o’s win, I would have preferred it if the award had gone to Jennifer Lawrence for “American Hustle.” I also would have been content with victories by Julia Roberts (“August: Osage County”) or June Squibb (“Nebraska”). As in the acting categories, Cuarón was a lock on this award. In my opinion, however, this award would have been better suited to David O. Russell (“American Hustle”). I also would have been content with wins by Alexander Payne (“Nebraska”) or Martin Scorsese (“The Wolf of Wall Street”). “12 Years a Slave”: Review, web site, trailer. “American Hustle”: Review, web site, trailer. “Nebraska”: Review, web site, trailer. “Philomena”: Review, web site, trailer. “Dallas Buyers Club”: Review, web site, trailer. “August: Osage County”: Review, web site, trailer. “Blue Jasmine”: Review, web site, trailer.